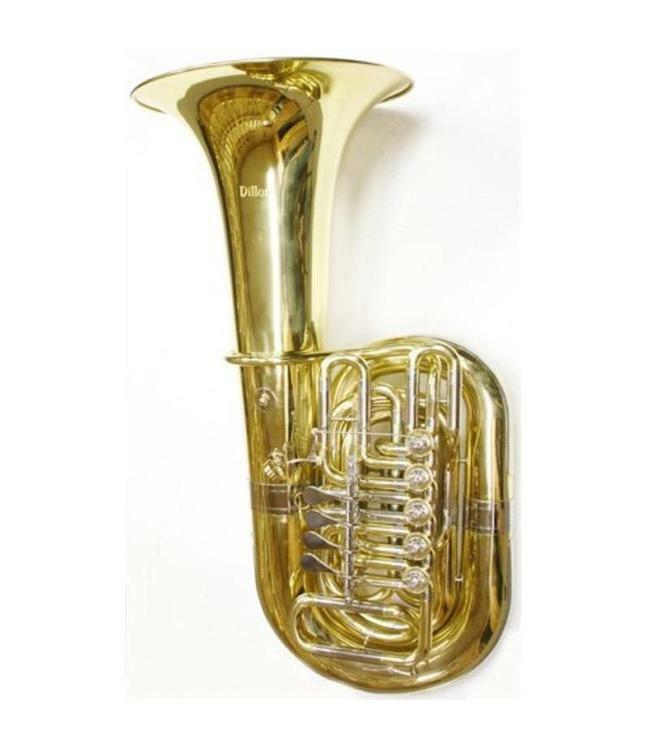 Full sized CC tuba in lacquer finish is a great all purpose tuba. Great intonation with a clear and responsive sound. 40" tall with a 17.75" upright bell and 5 rotor valves of .770" bore. Fifth rotor valve is a flat whole step in length and is right thumb operated. Comes with a case and mouthpiece.